Claudia joined Coram Children’s Legal Centre (CCLC) in February 2018. She read law and graduated from London South Bank University in 2012. Following an award of the Law Society’s Diversity Access Scheme bursary, she completed the Legal Practice Course at London Metropolitan University. During her time studying, Claudia completed placements with various law centres and legal advice clinics to develop her practical skills. This led to her completing training with the Free Representation Unit (FRU) as a volunteer to allow her to successfully represent clients bringing social security appeals. Later taking time to focus on her family, Claudia continued to use her legal skills to help people appeal decisions of local housing and education authorities and conducted a social security appeal, relying on the invaluable skills that she gained with the FRU. Previously, Claudia has worked for the Ministry of Justice where she was able to consolidate her civil litigation studies, working behind the scenes of a London County Court. 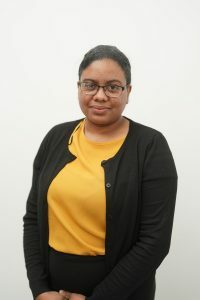 Before taking up her position as a Justice First Fellow, Claudia worked for HM Land Registry where she was able to use her land and property law studies to advance as a caseworker. We know that children and young people (CYP) are interested in the law and how it affected them, however with the increase in availability and use of social medial by CYP, we believe there is a need for CYP to have a better and more current understanding of their rights and responsibilities; not only generally but with a particular focus on benefits and risks involved with the use of social media. Claudia hopes to design, develop and deliver a project which hopes to increase CYP’s understanding of the law and their rights with a special focus on using social media safely and protecting personal data.